Robinson: The Journey took players on a VR sci-fi adventure where they came face to face with dinosaurs after their spaceship crashed on a mysterious planet. Now you can use numerous props and items from the game to kit-bash into your own scenes with this free pack available on CRYENGINE Marketplace. 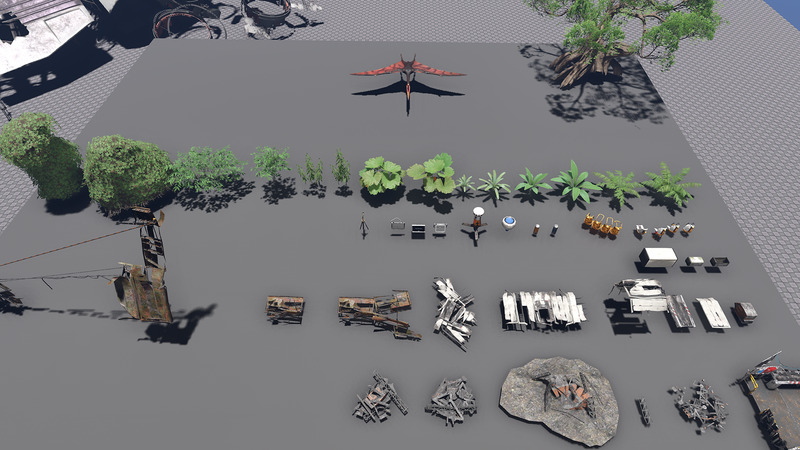 In addition to a range of props from the game, you can also get your hands on various assets which showcase CRYENGINE’s famed vegetation, including a huge tree. 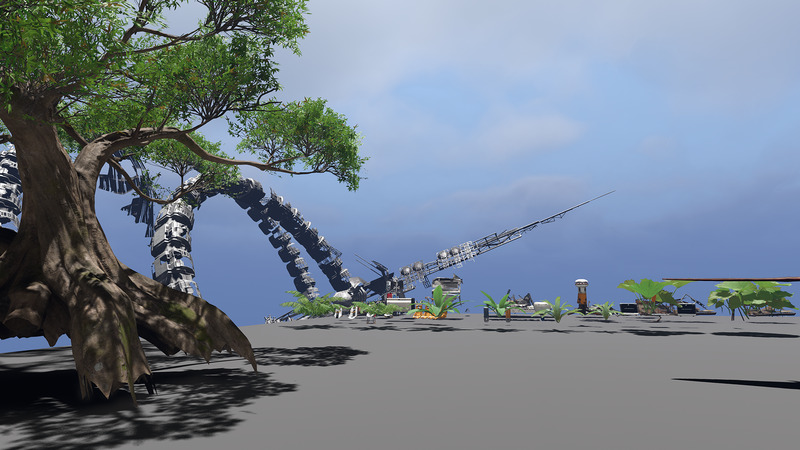 On top of this we have also included the Pterodactyl rigged mesh for you to play around with and animate. This pack was previously provided as part of the Humble CRYENGINE Bundle 2018, and we’re delighted to make them available to everyone for free now. You can find this asset pack, and more, over at CRYENGINE Marketplace. If you pick up an asset which makes the difference for you, don’t forget to leave a review. Making something cool with these assets? Let us know on Discord, the forums, Facebook, or Twitter.